gardens, or a hike, run or mountain bike ride up hilly terrain leading to panoramic views of the county. 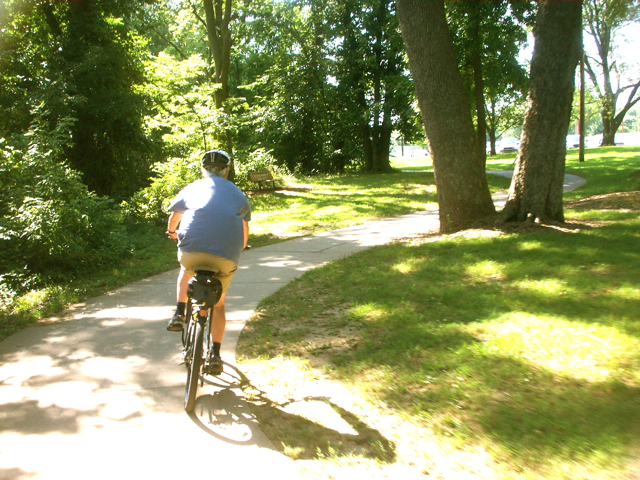 There are more than 30 miles of paved trails and nearly 28 miles of natural surface trails running through forested, prairie and open natural areas. The Master Plan for Shawnee County Parks + Recreation calls for increasing the number and length of trails in our community while connecting as many as possible.